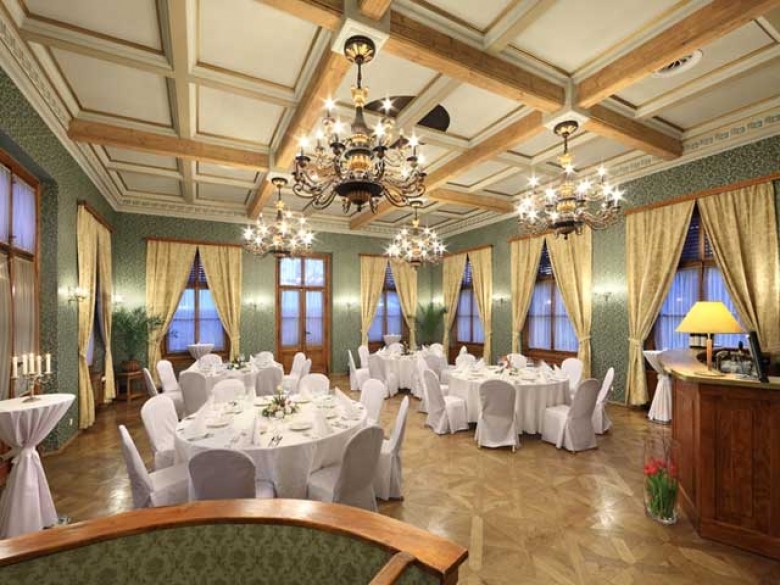 My recommendation: very good all in one option. 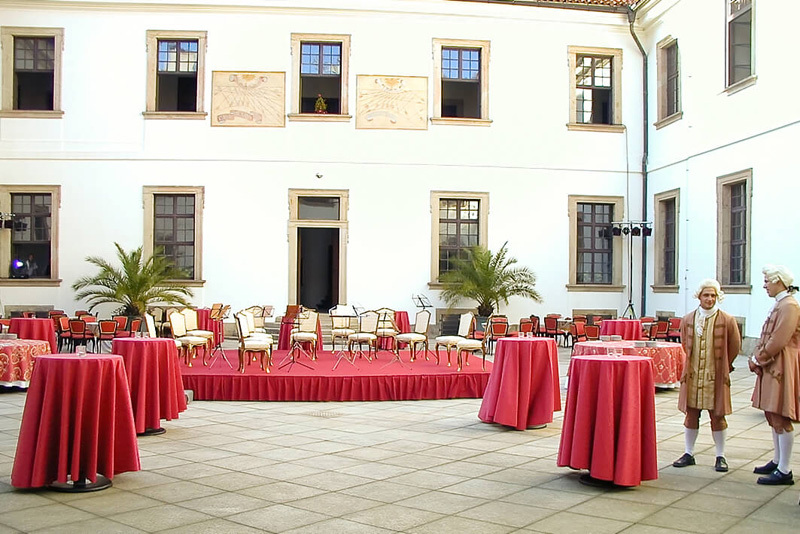 Also is possible to arrange a tent in the courtyard which gives you more space in case of bad weather. 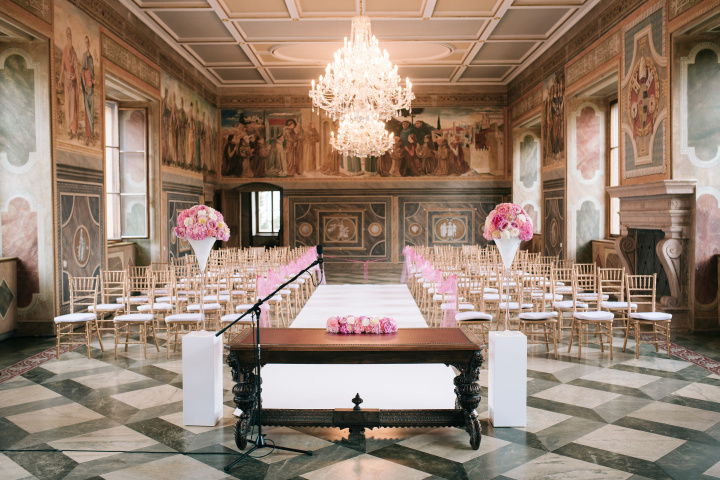 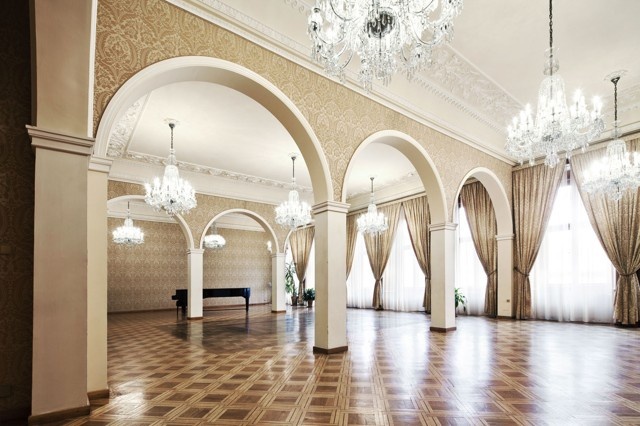 My recommendation: if you decide for this pretty ballroom, choose some gardens or another pretty venue for the ceremony and then arrange some interesting and fun transportation for the guests. 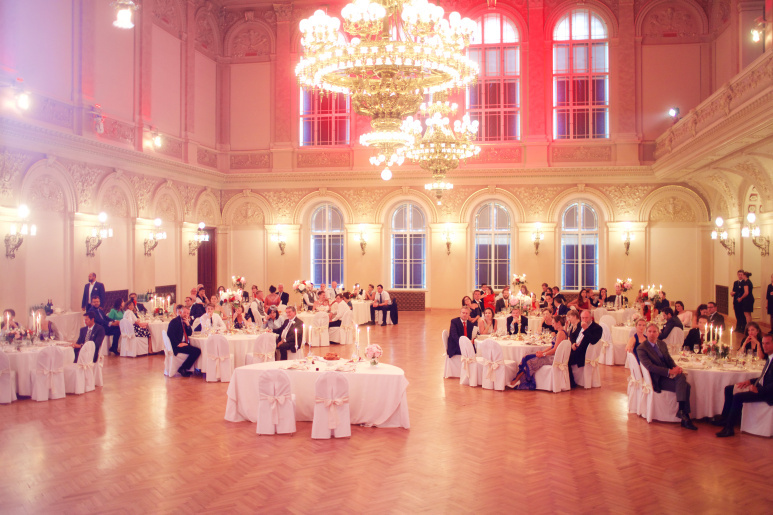 Also I recommend to use special lighting for this room, it gives it much better atmosphere. 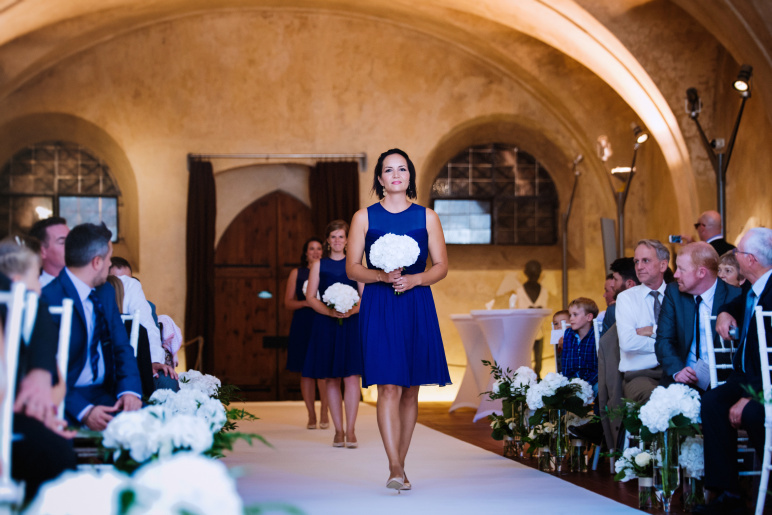 My recommendation: think well about the transportation for the guests as it is quite difficult location with high heels, cars or so. 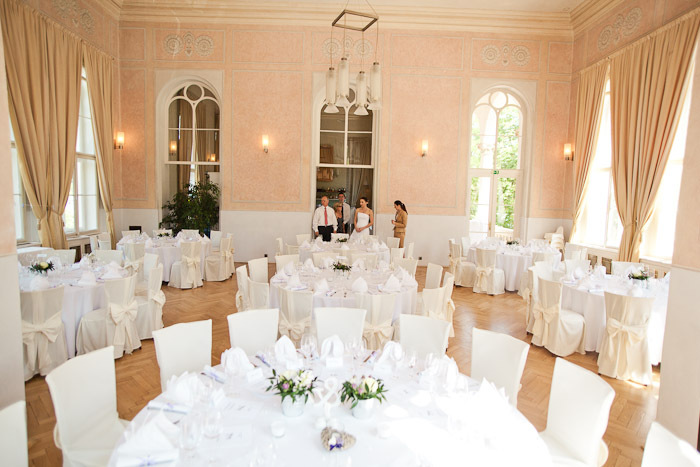 I recommend ceremony in the top garden or at Lobkowicz palace, reception in the bottom part of Villa Richter and party in the top part. 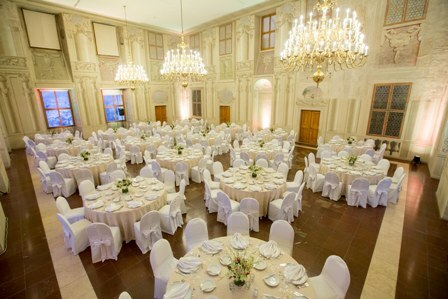 Make sure your suppliers are ready for this venue. 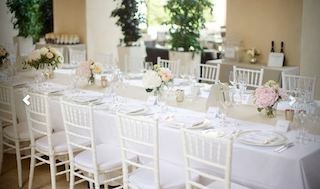 It is incredible but as well quite difficult for organisation. 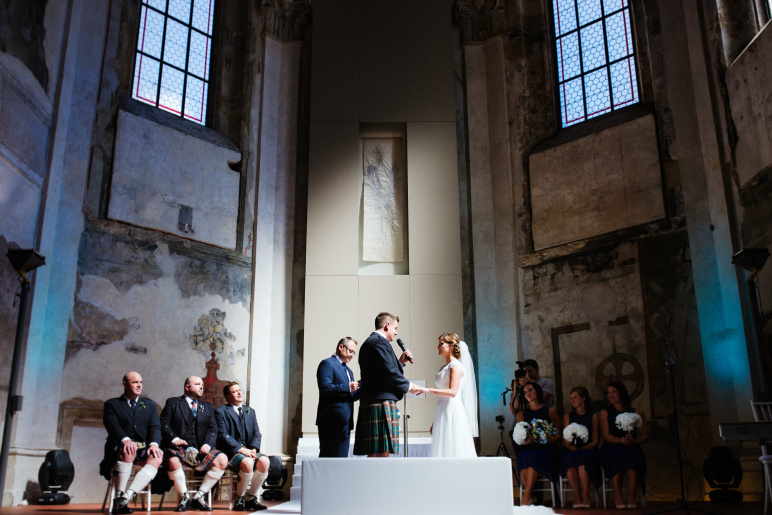 Ceremony: Yes, possible in the church located in the premises, or in the garden. 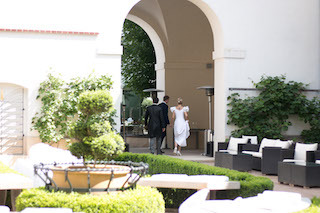 My recommendation: combination of cocktail at the terrace with the lovely view, followed by the ceremony in the historical hall and then continue to Villa Richter for cocktails, reception and party. 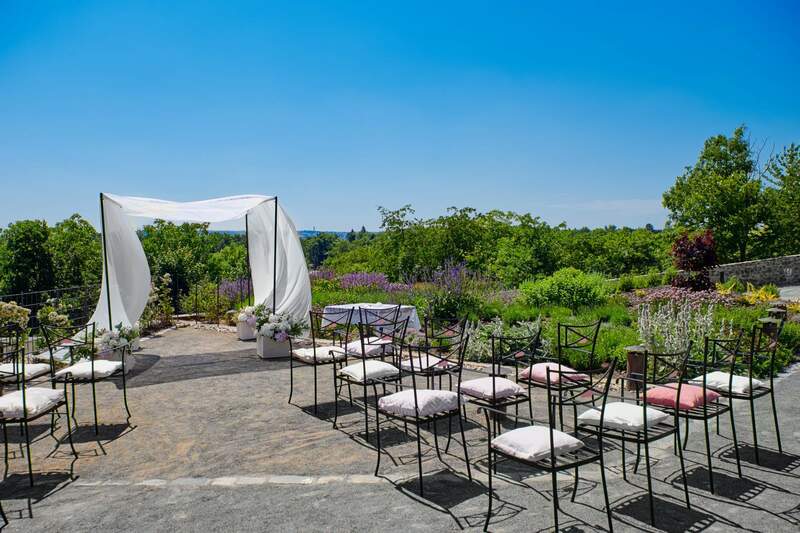 These venues are right next to each other, both with incredible views. 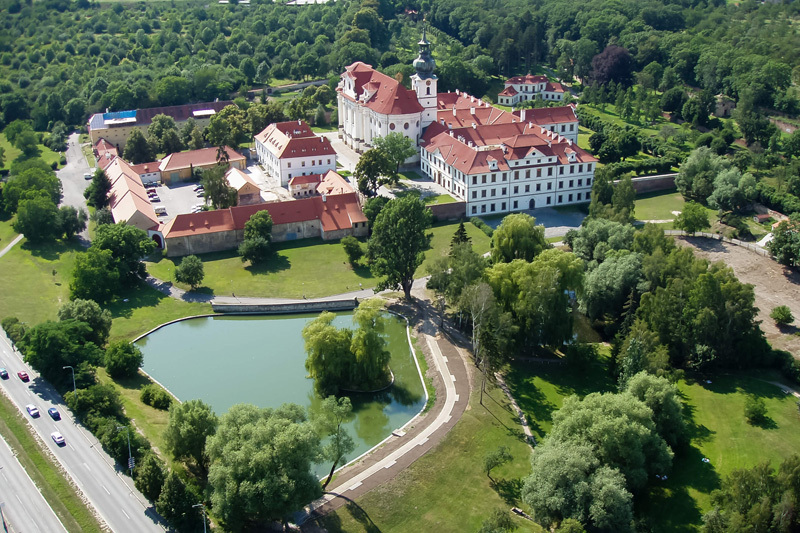 My recommendation: You can combine this lovely vinyard with Troja Castle which is located 10 minutes walk from here. 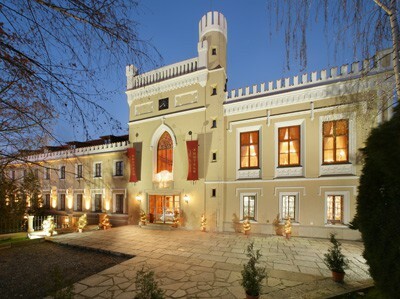 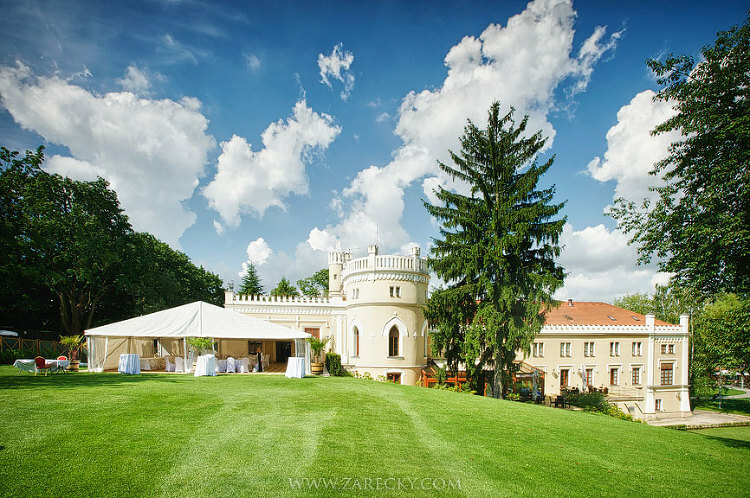 You can have a lovely luxurious ceremony in Troja castle with incredible gardens and then move here for after cocktails, reception and party. 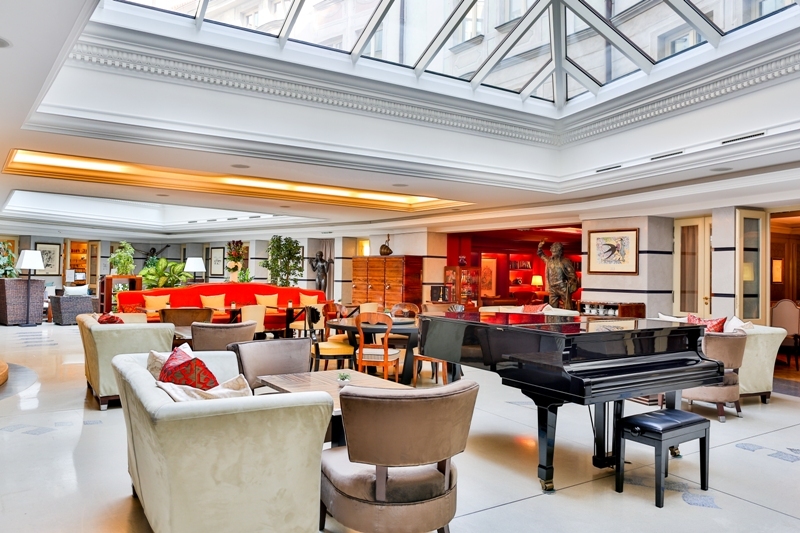 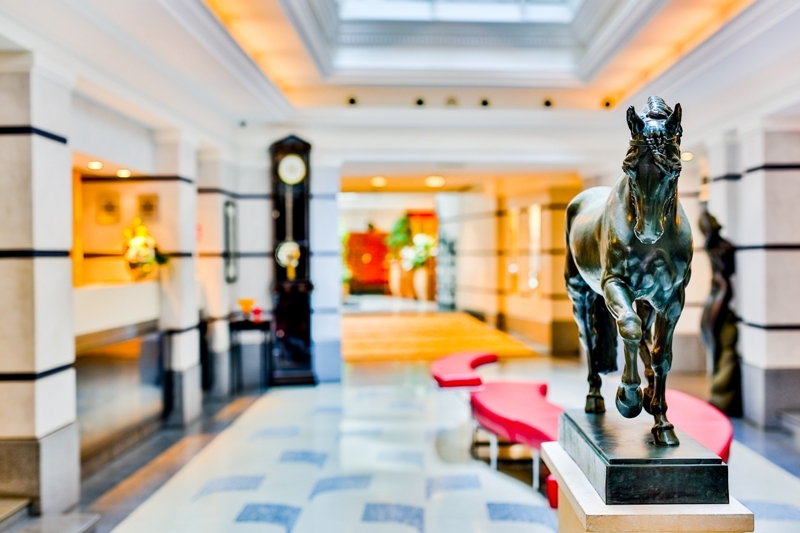 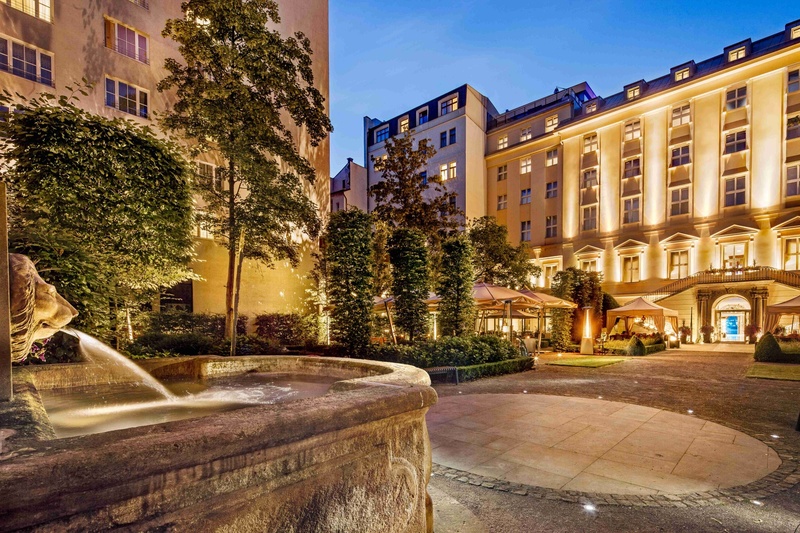 My recommendation: if you are looking for a city centre, luxury, great food and service and something very special, this might be your choice. 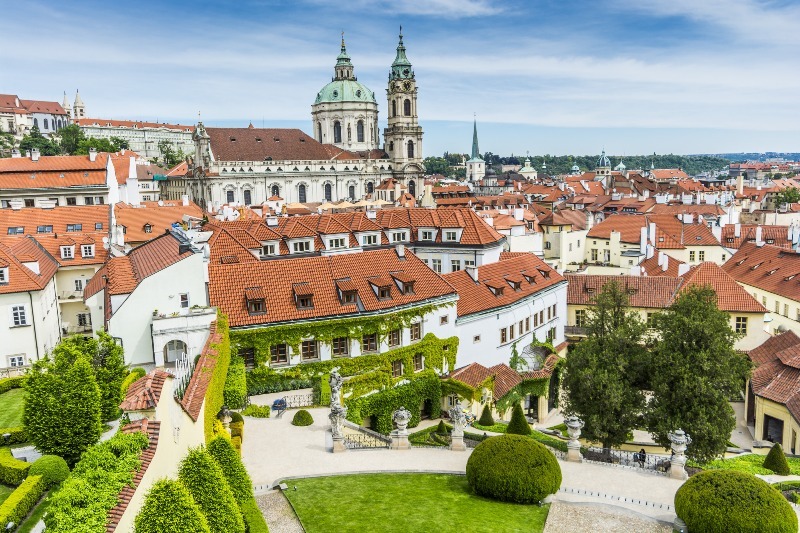 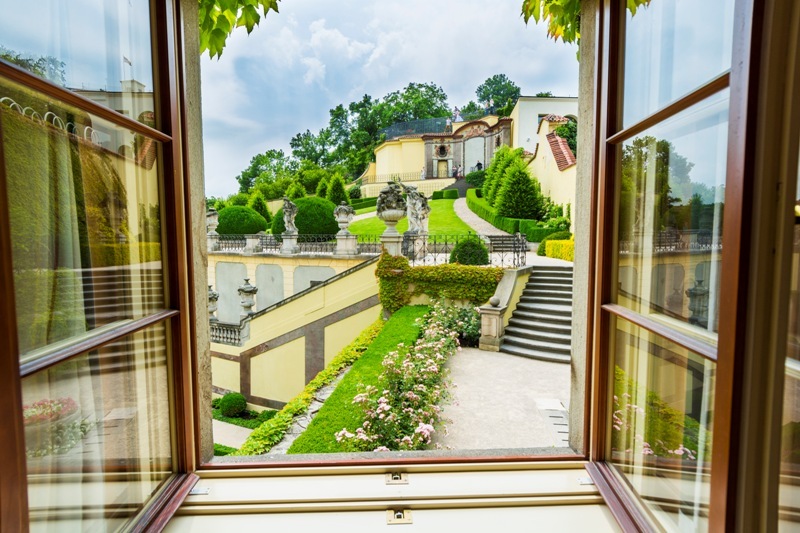 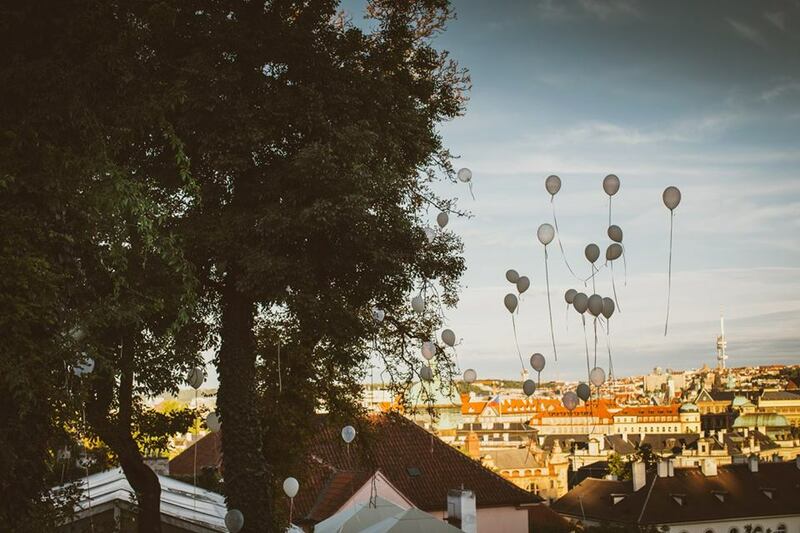 Use the possibility of having the best Prague garden just next door. 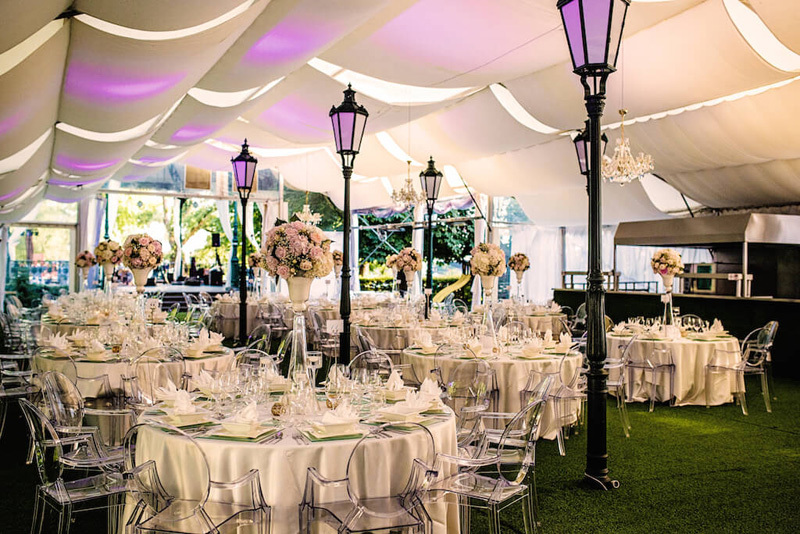 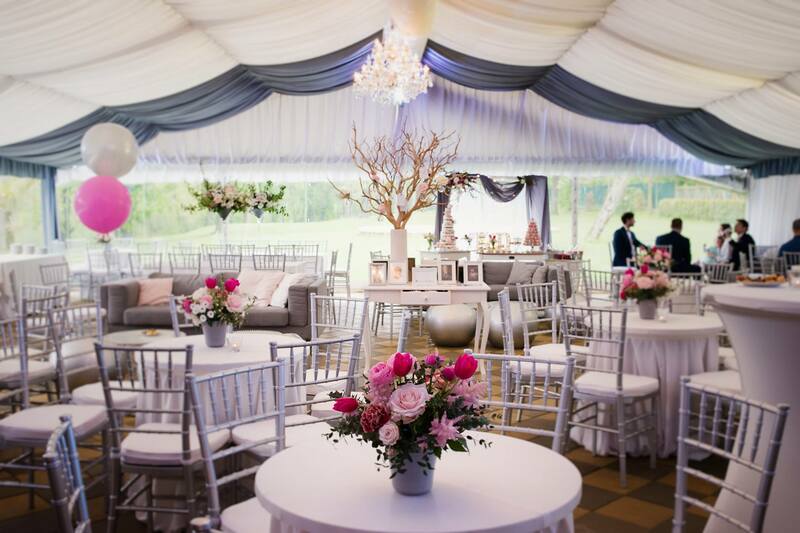 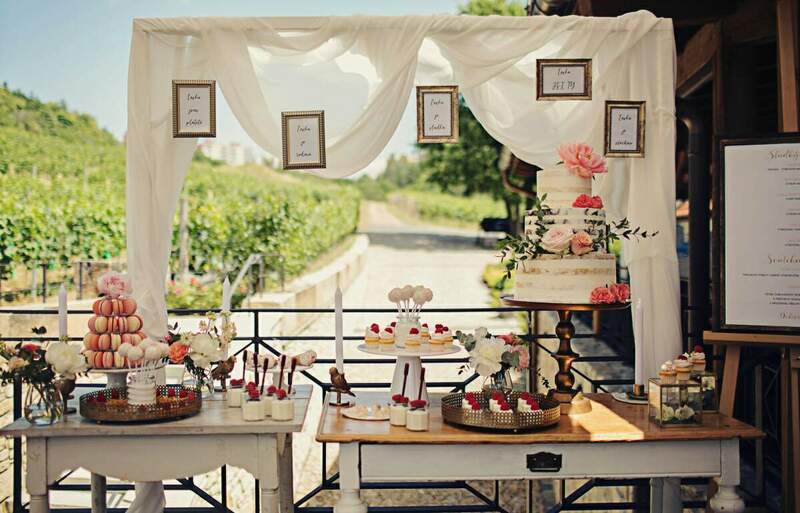 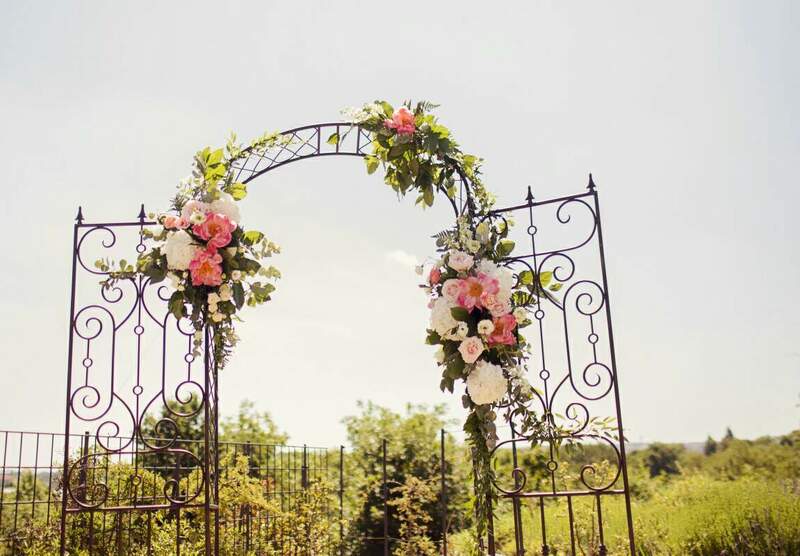 You can organize a ceremony, or cocktail, fireshow or wedding cake cutting in the garden. 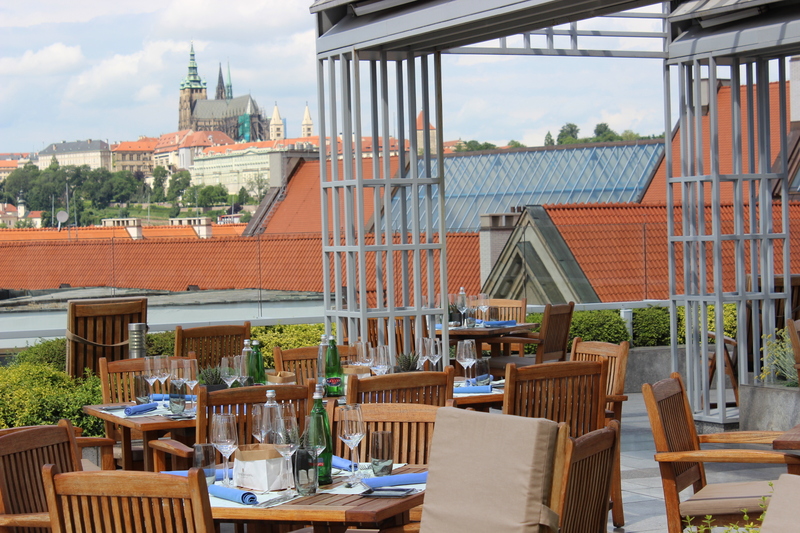 Also you have possibility to visit one of the most beautiful terraces in Prague with direct view of the Prague castle and Prague roofs. 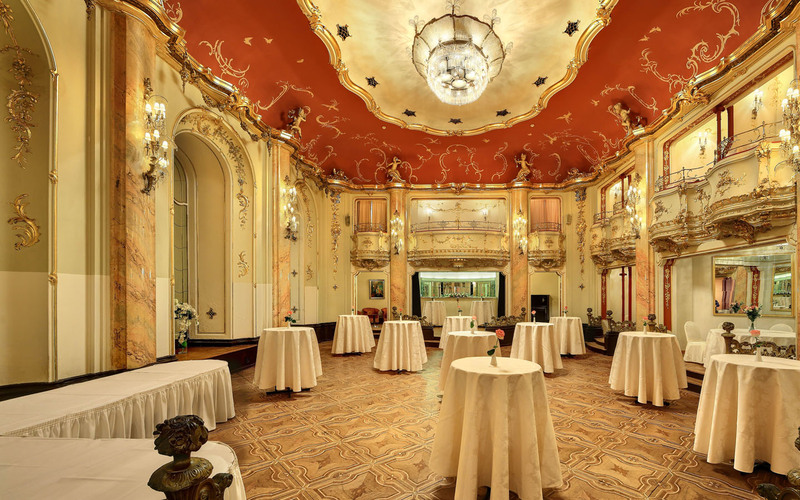 Music: until 1 a.m., end until 2 a.m.
My recommendation: one of the most incredible venues in Prague, historical monastery rebuilt into a luxurious private hotel in the city centre. 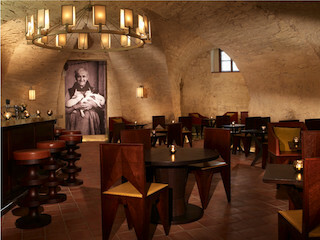 Service and food is one of the best. 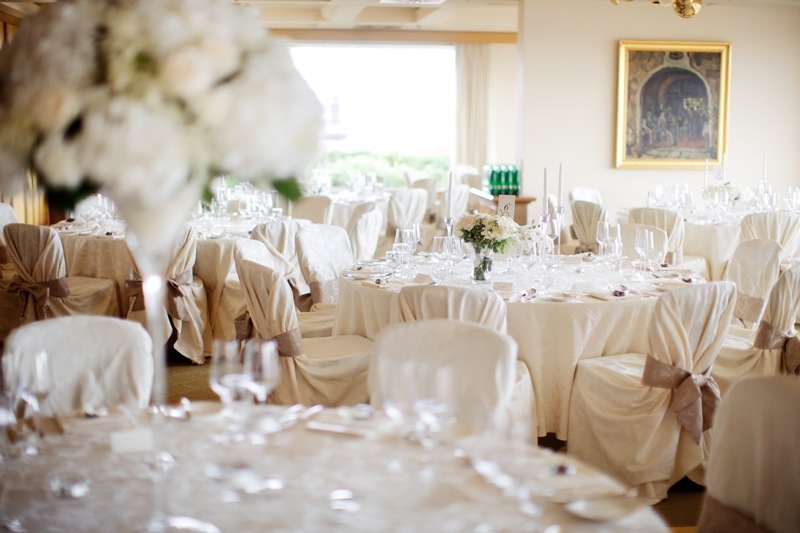 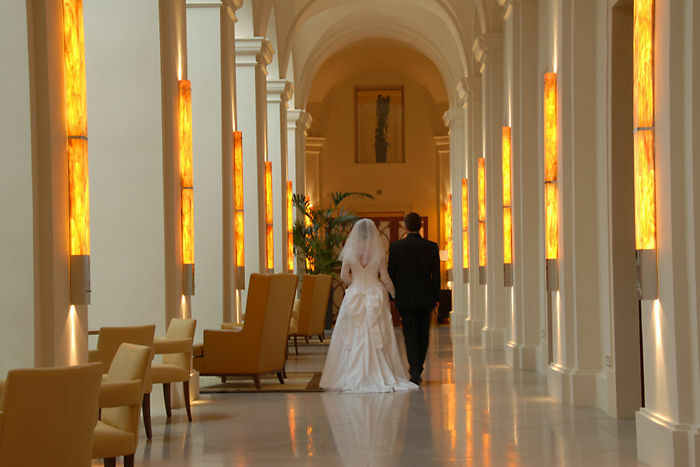 This hotel is located very close to Vrtba Gardens which is also a beautiful venue for a wedding ceremony. 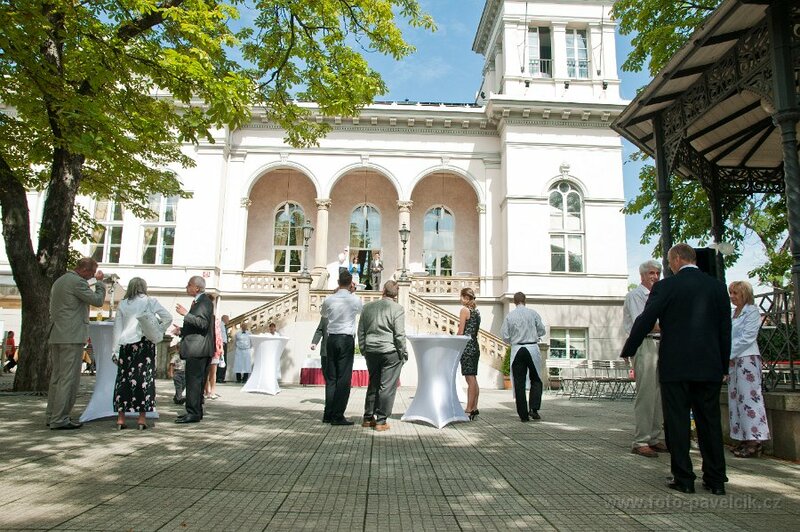 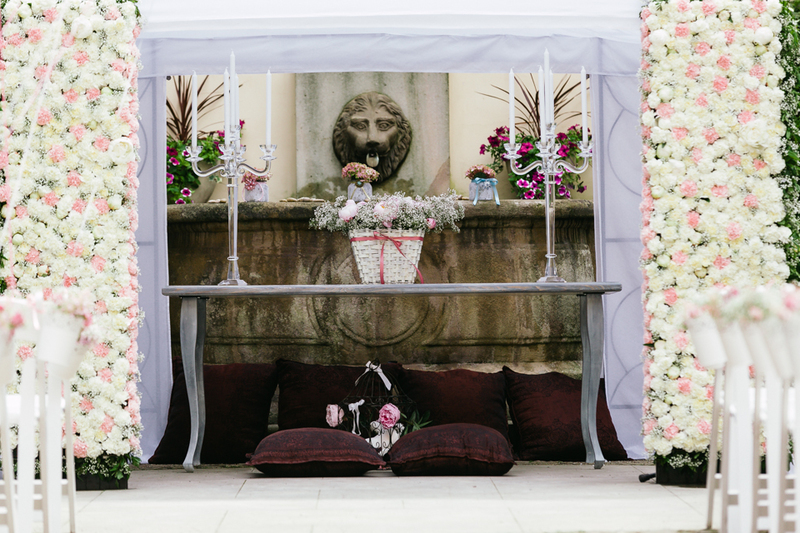 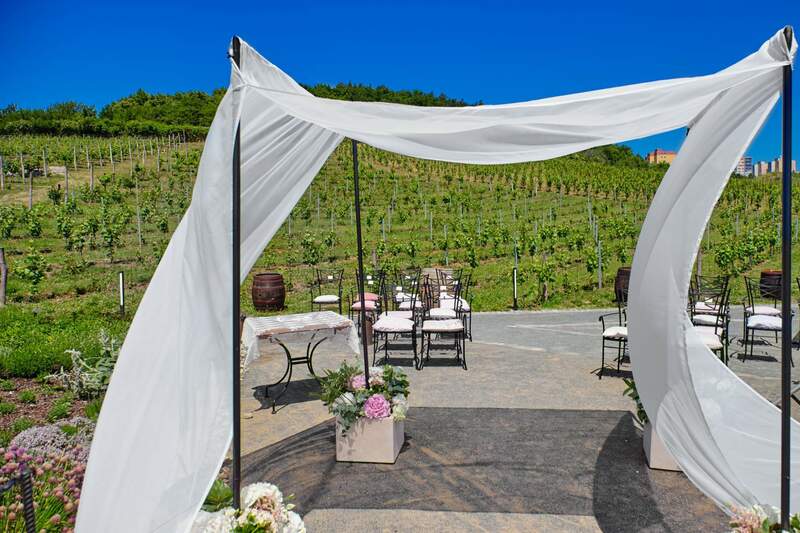 Or you can simply have the ceremony in the courtyard of the hotel and have it all in one. 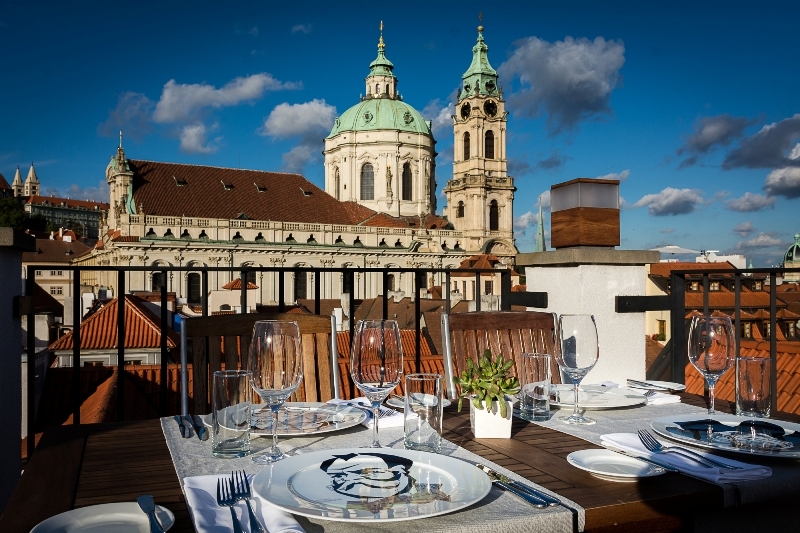 My recommendation: this is a very bood “all in one” option with amazing views. 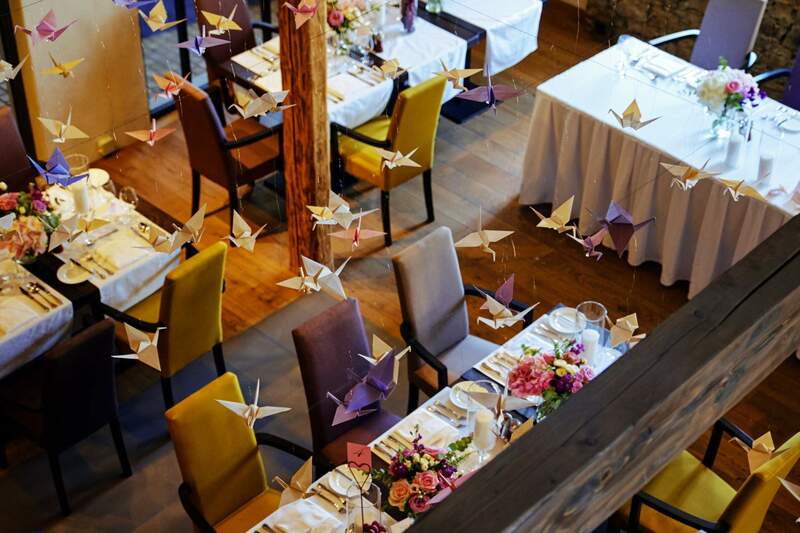 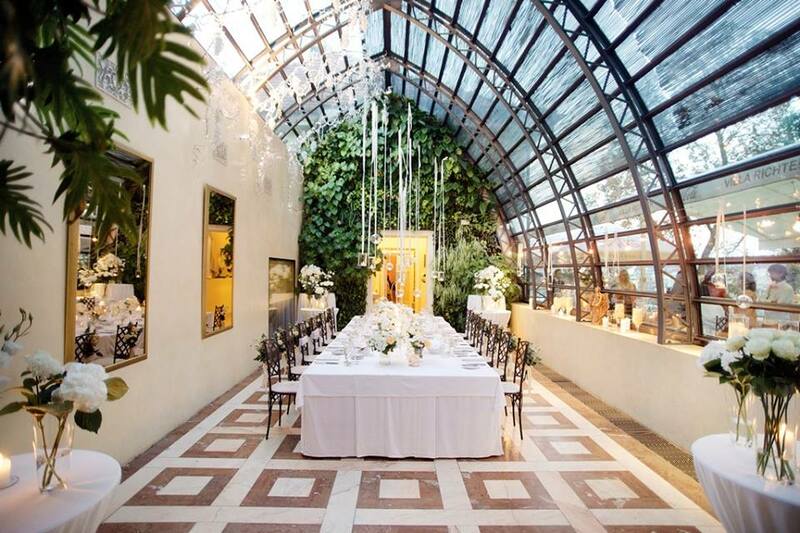 You can consider this venue for pre-wedding dinner or an after-wedding brunch. 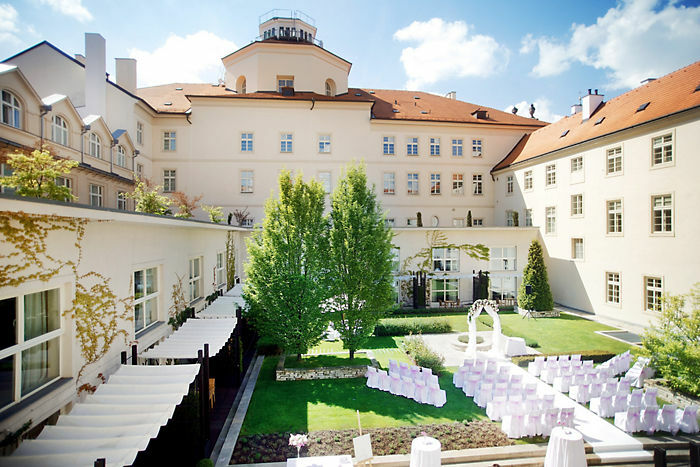 My recommendation: this venue is located right next to Prague castle so it is very easy to get to Prague castle or to the views for photographs. 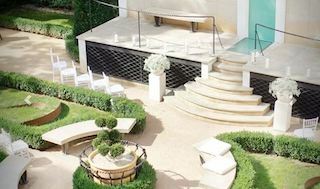 You can use this venue for ceremony only followed by a lovely cocktail in the courtyard if requested. 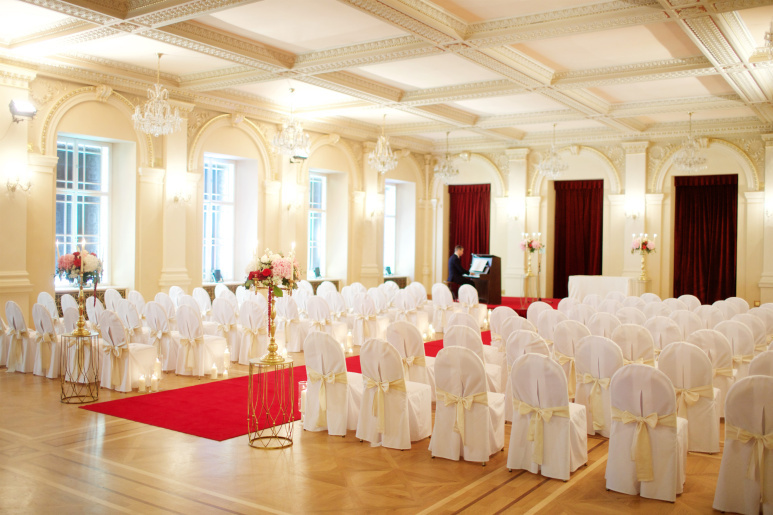 My recommendation: this venue is located right in the city centre. 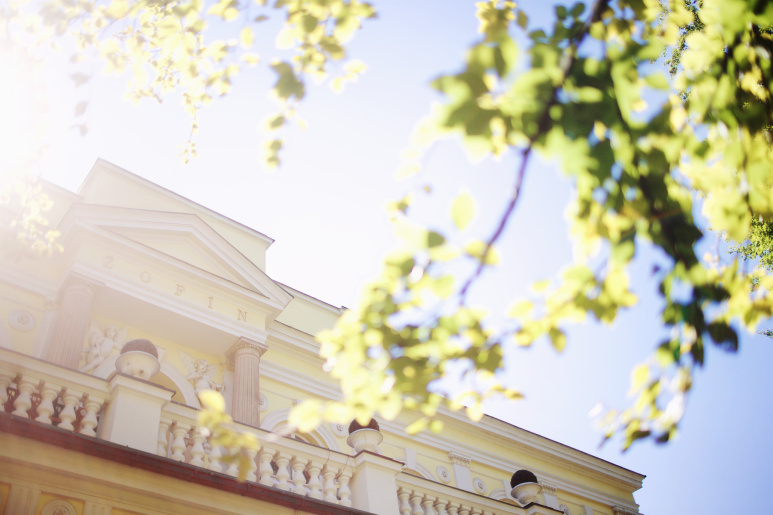 Perfect combination with St. Thomas church located right next to it. 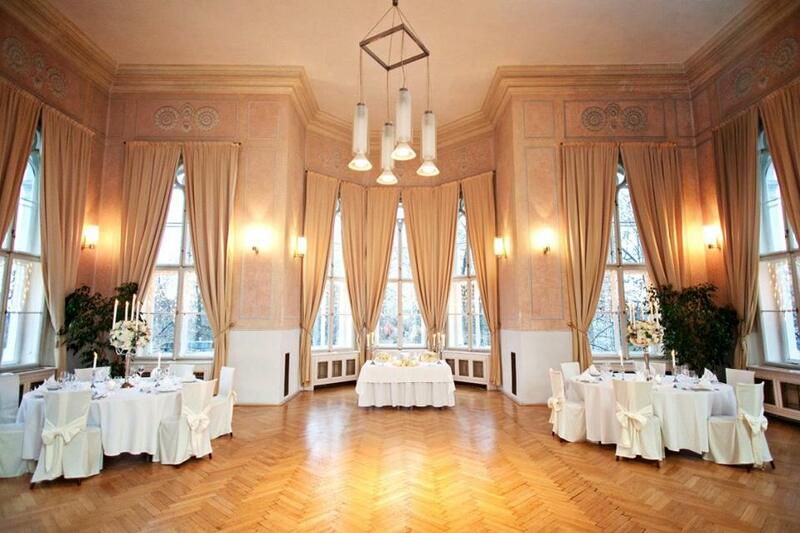 My recommendation: this venue is located right in the city centre. 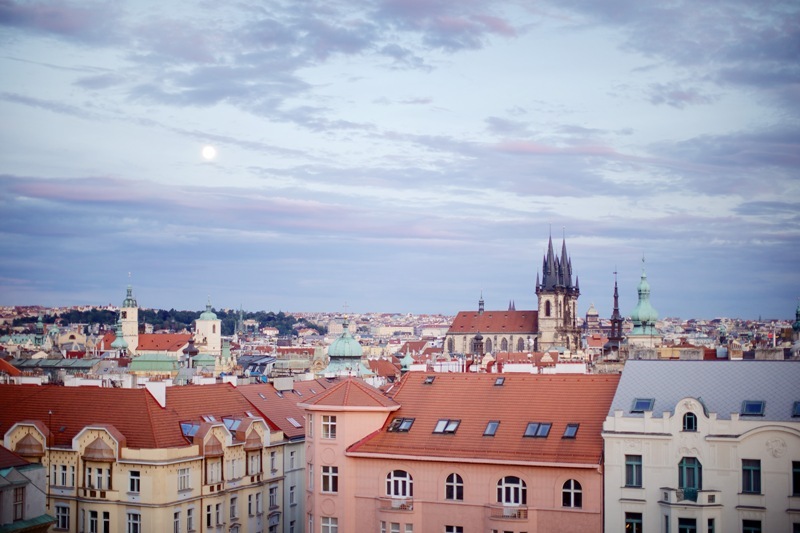 You can either have all in one here or combine it. 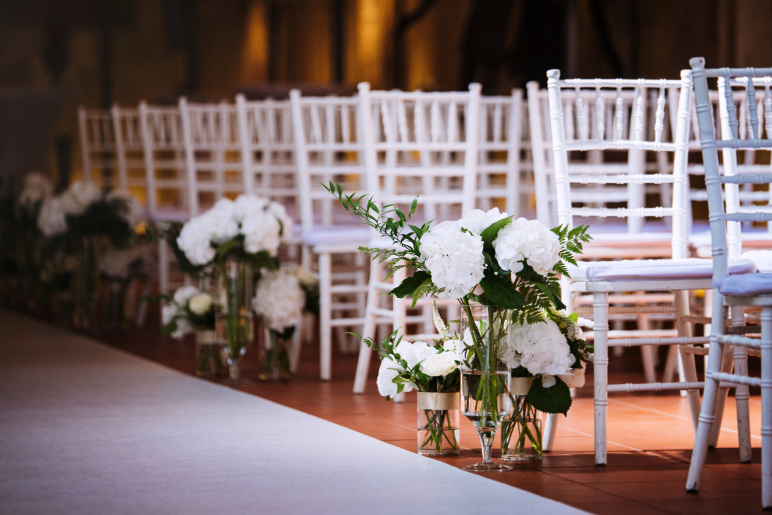 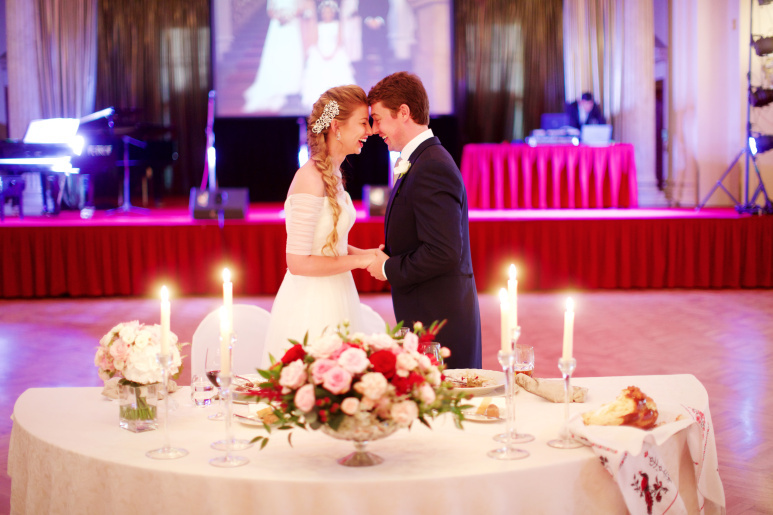 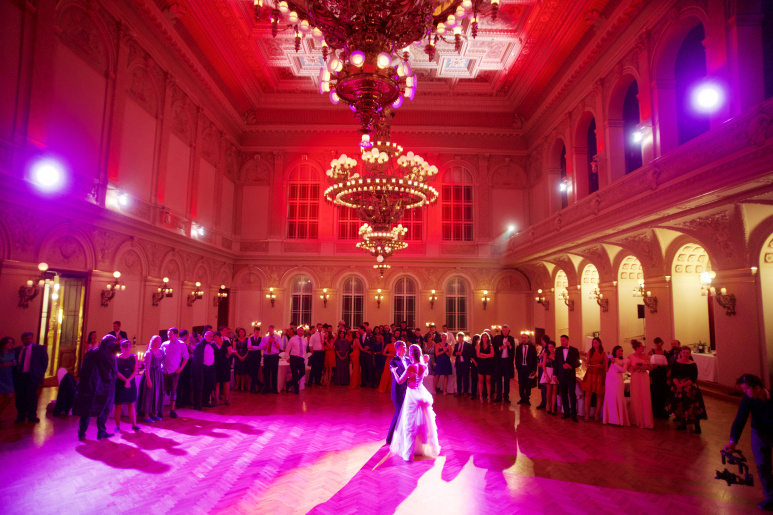 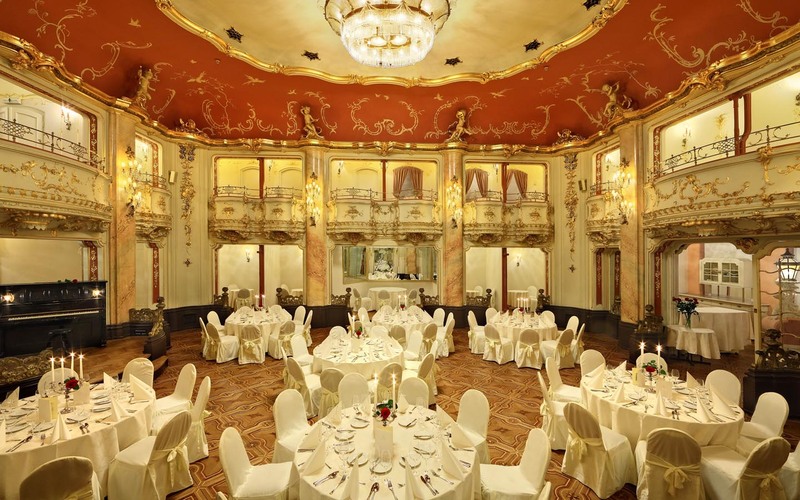 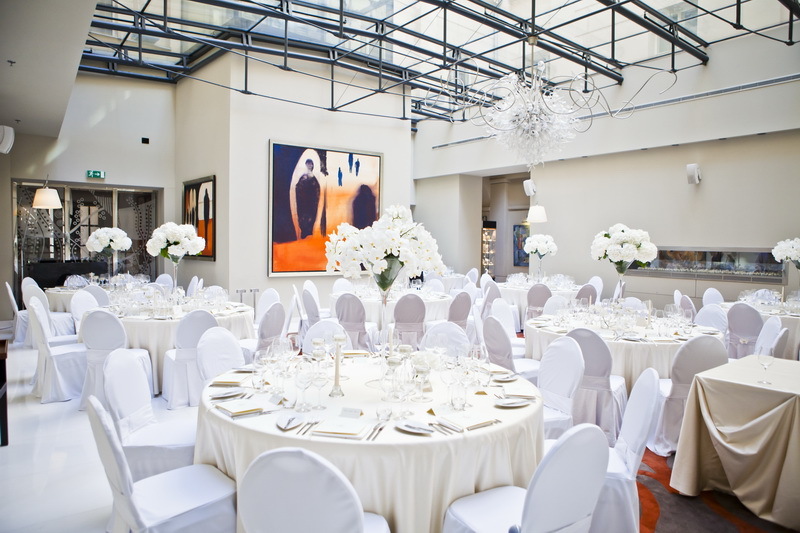 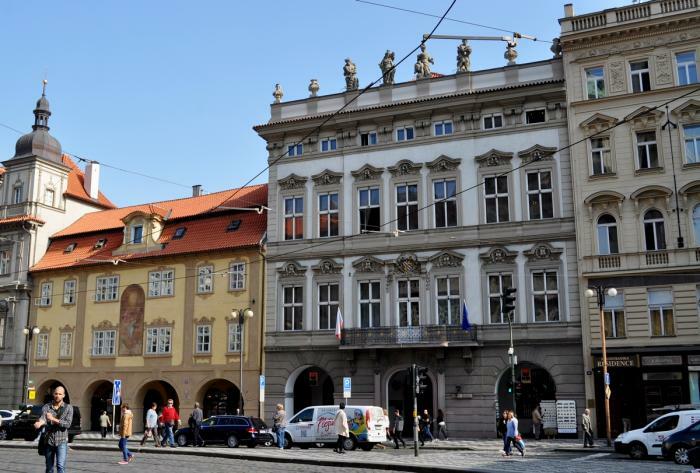 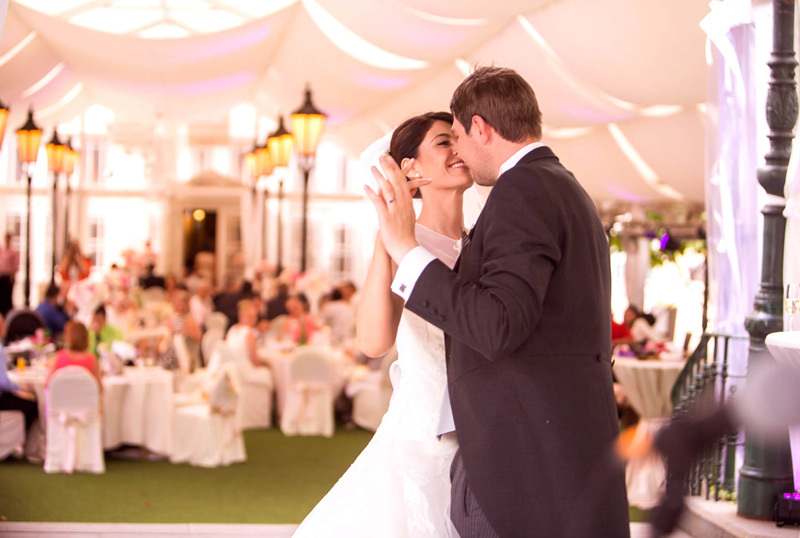 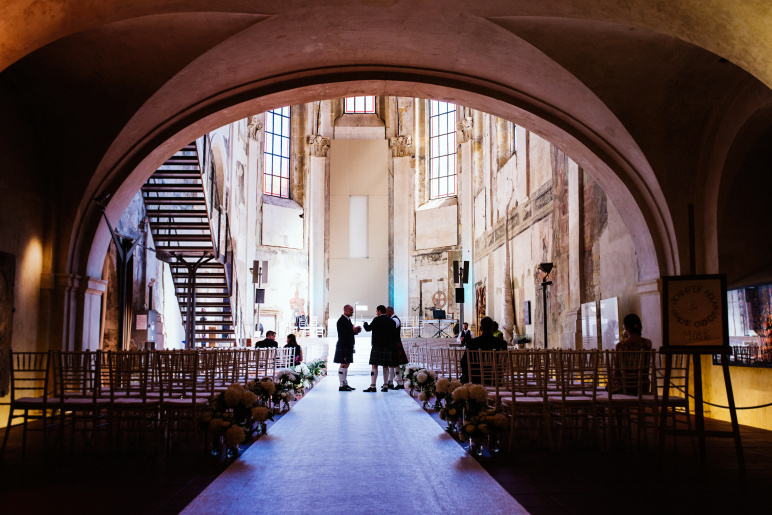 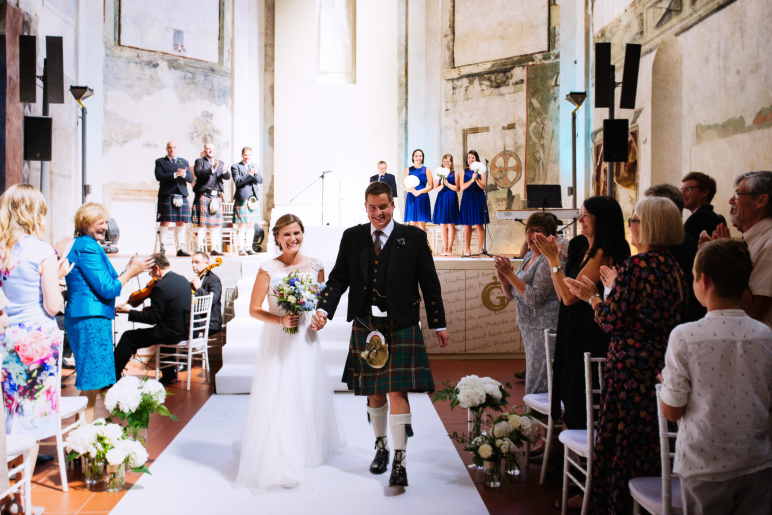 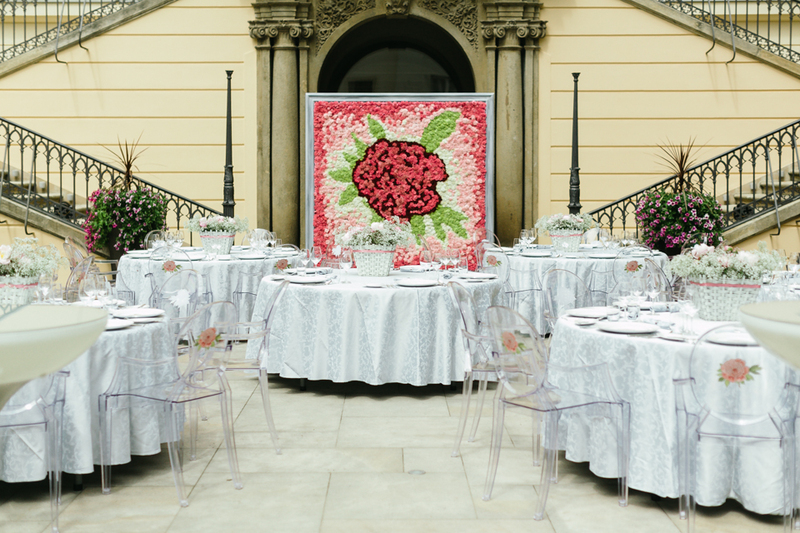 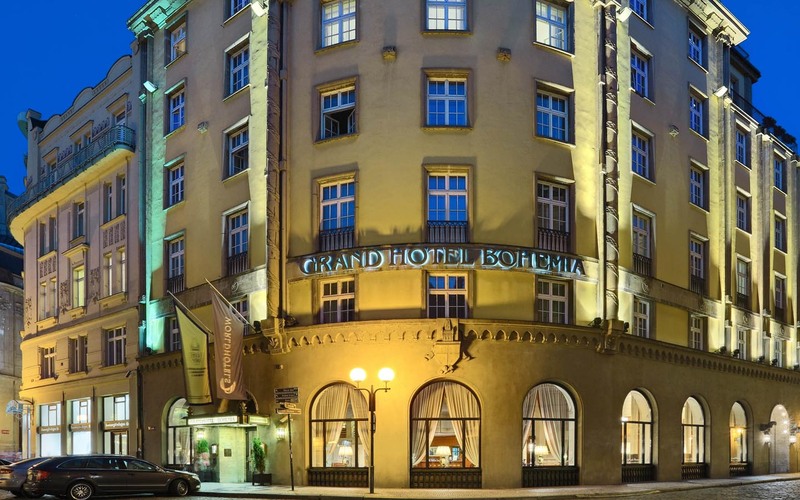 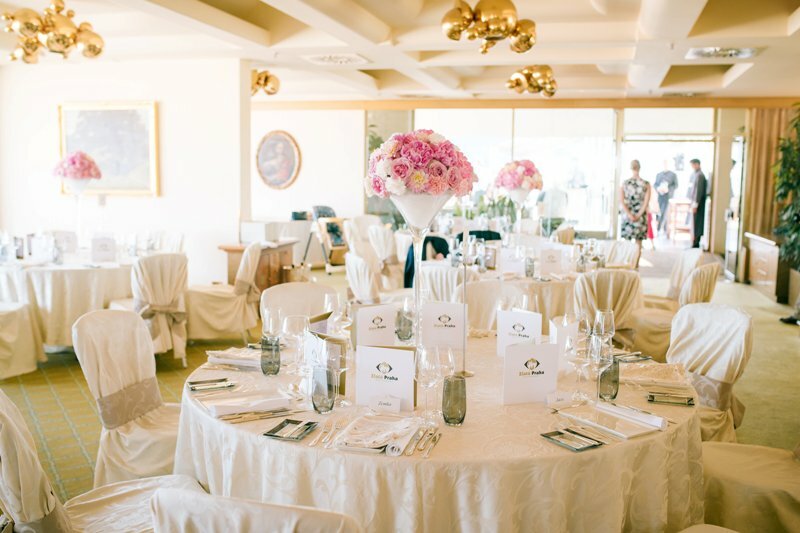 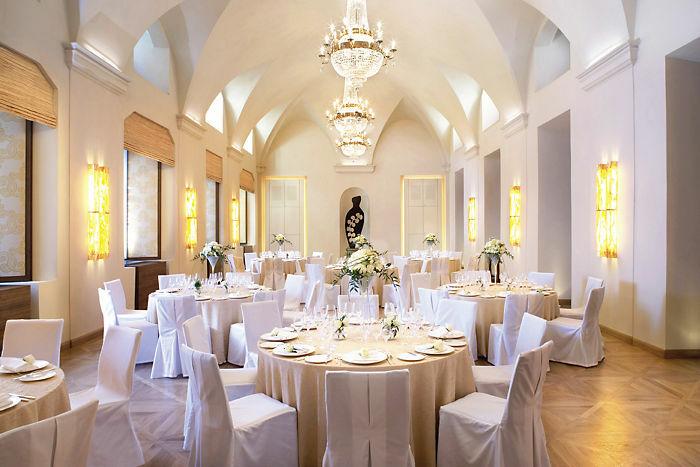 You can make a ceremony in Prague Crossroads and then move to Pachtuv Palace, Bellevue, Mlynec restaurant, Four Seasons hotel or Zofin Palace. 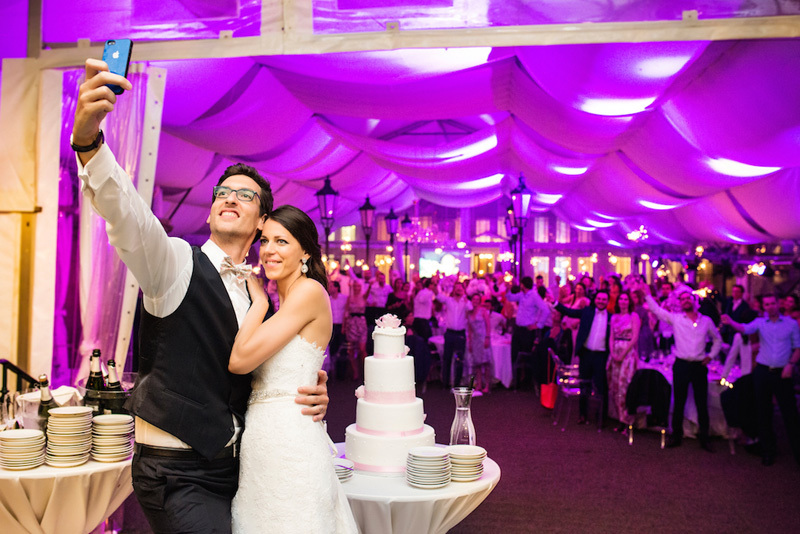 All very close. 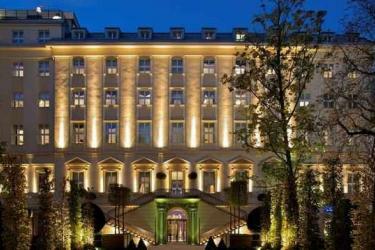 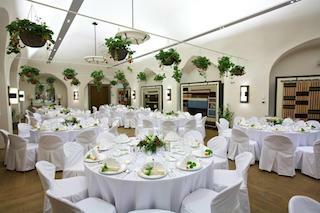 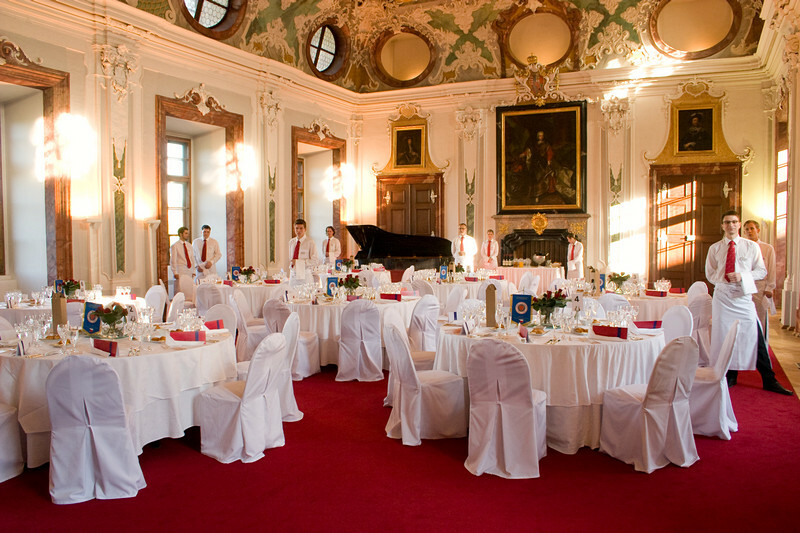 My recommendation: this venue is located right in the city centre next to Charles Bridge. 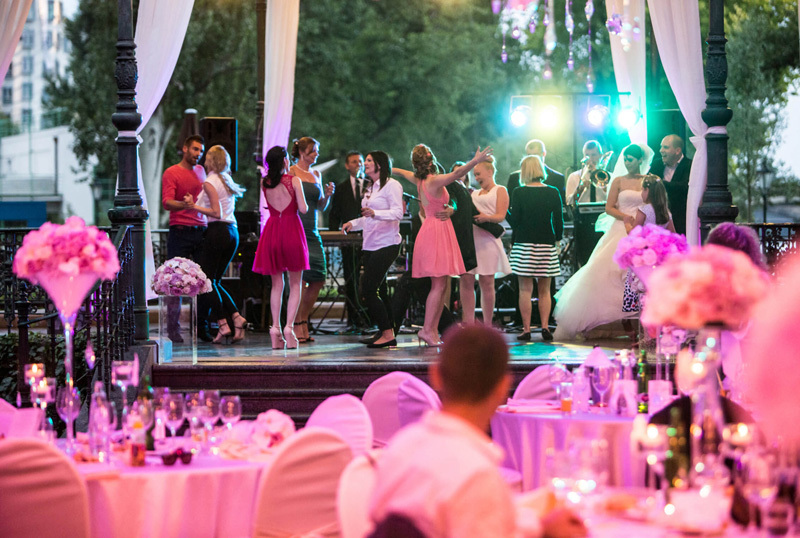 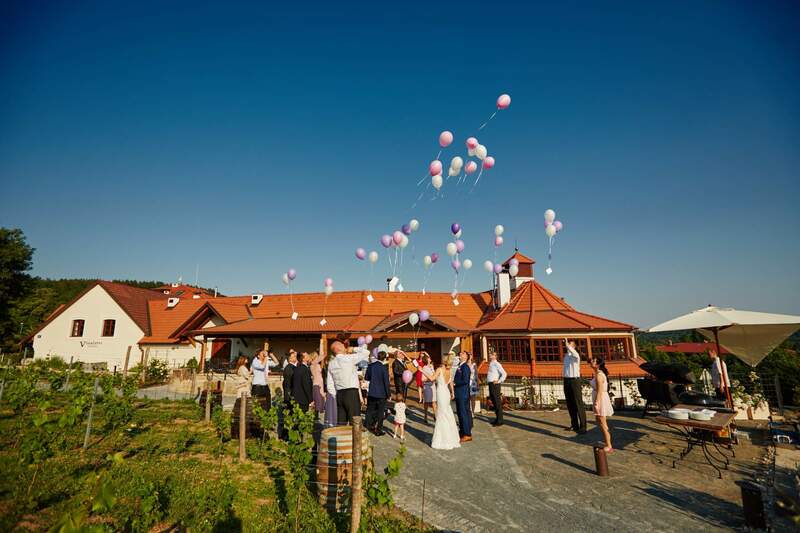 You can have the ceremony in Vrba gardens which are few metres from here and then follow with cocktail, reception and party here. 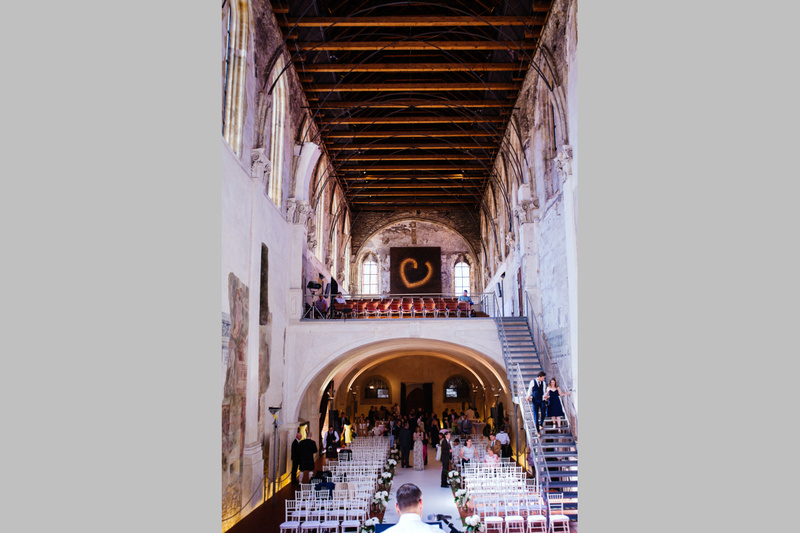 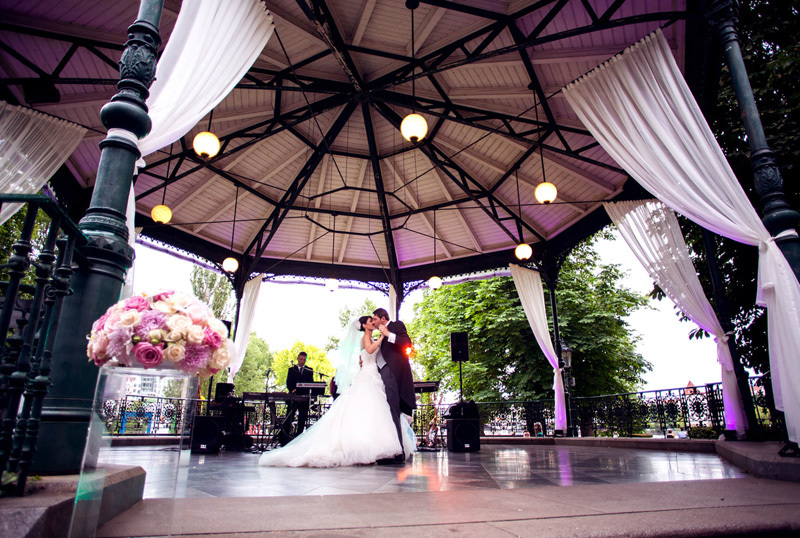 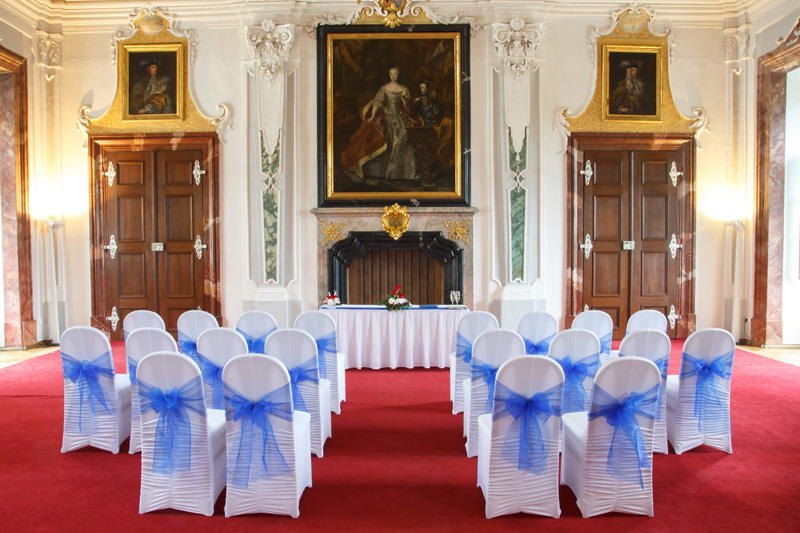 Other venues suitable for ceremony around this venue are Palace Gardens or St. Vitus Church. 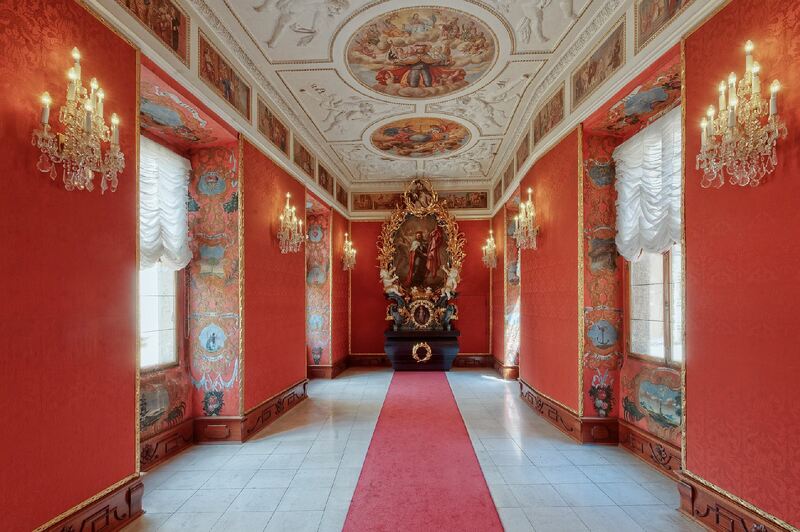 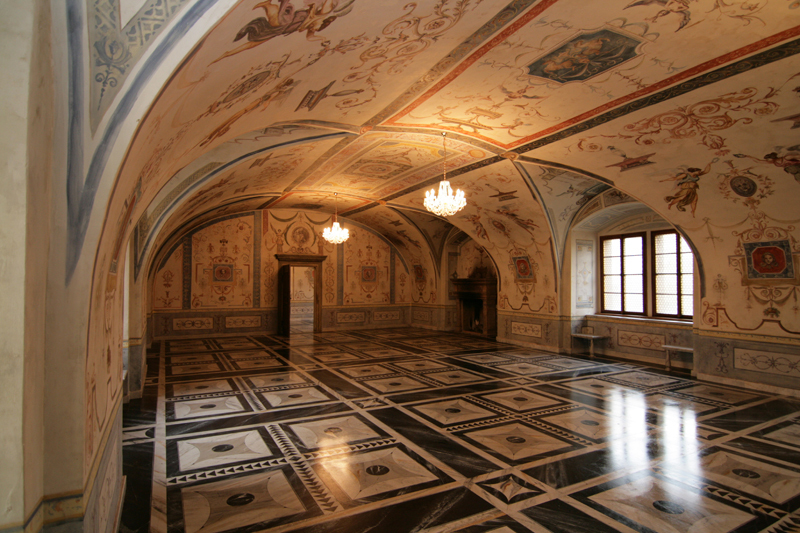 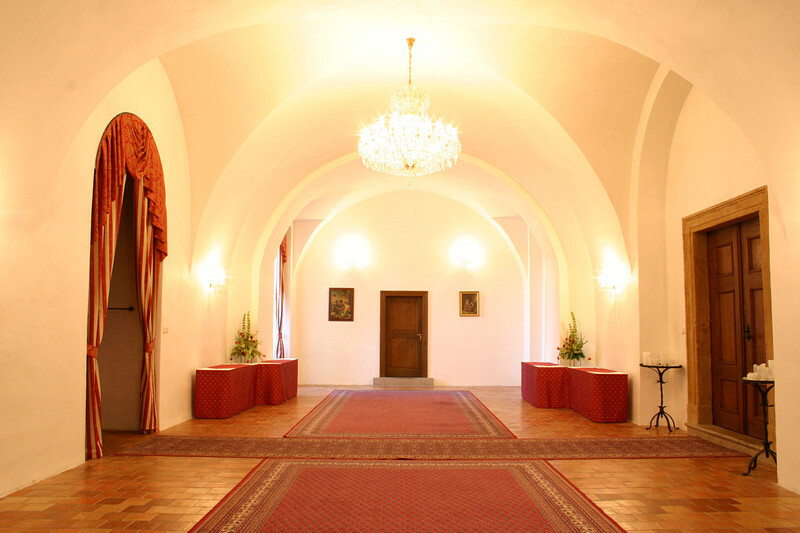 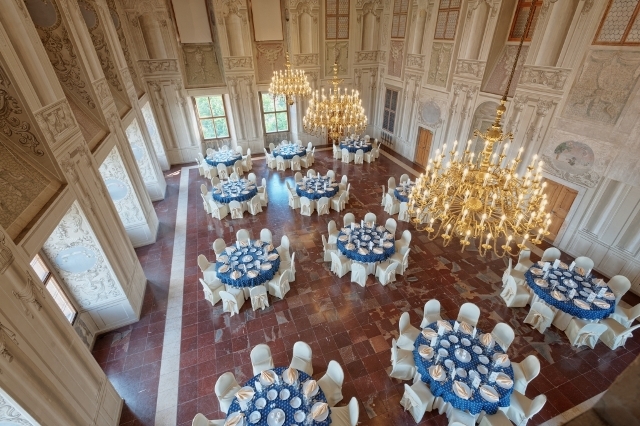 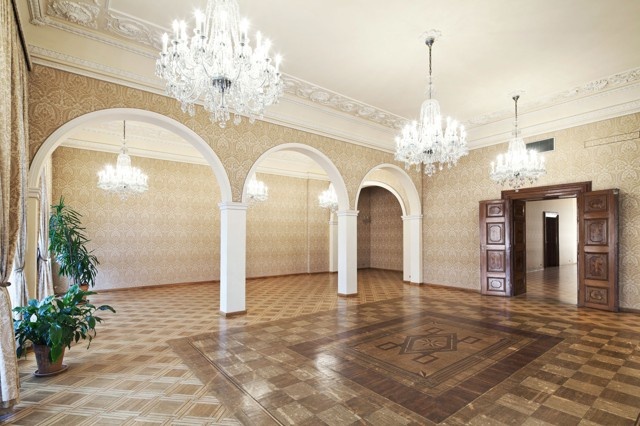 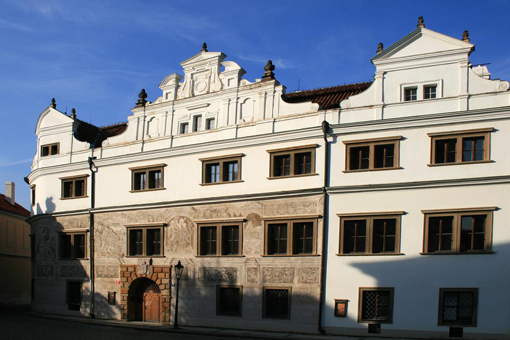 Music: outside till 10 pm, inside until 3:00 a.m.
Zofin palace is one of the most beautiful palaces in Prague. 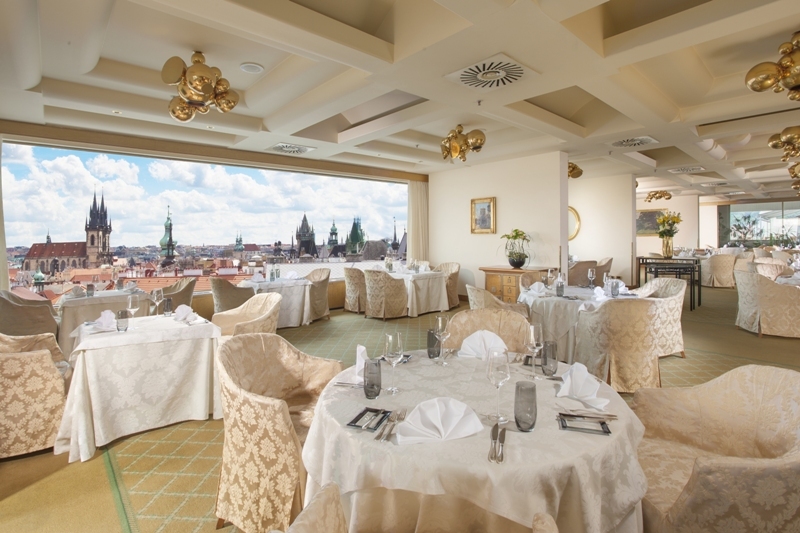 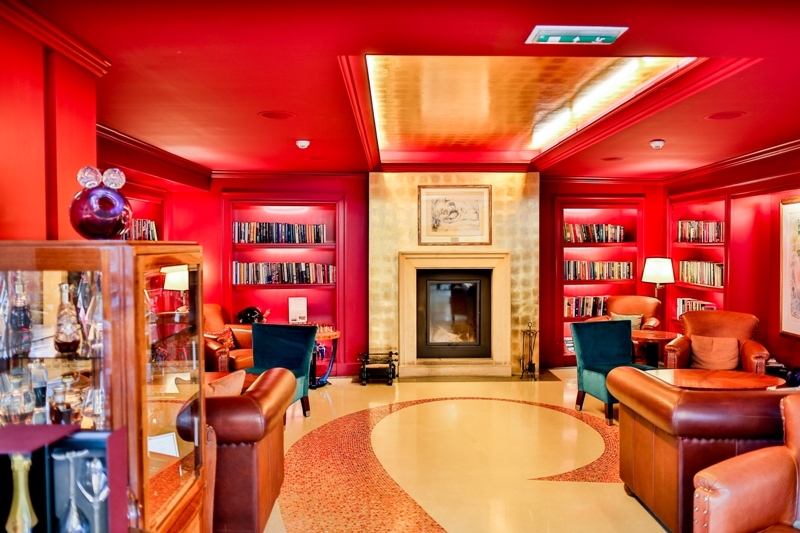 It is located in the centre of Prague, has a lovely garden and is perfect as “all in one” option. 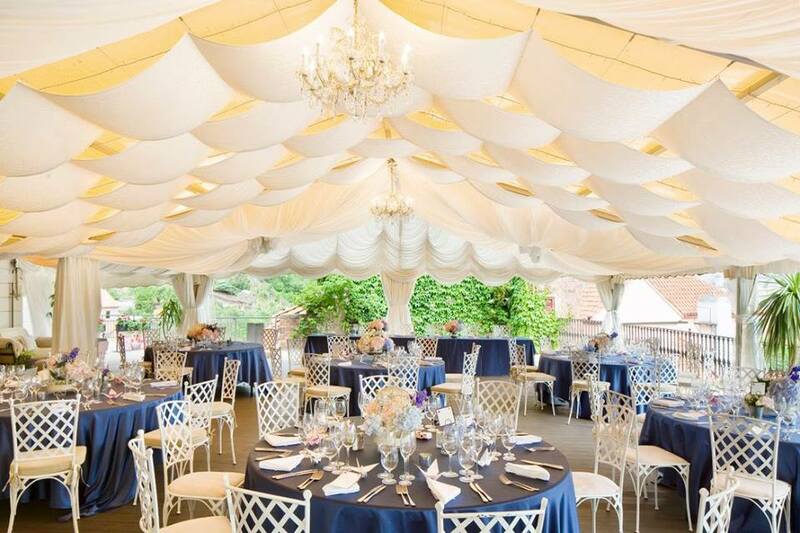 Currently the tent is built only for winter. 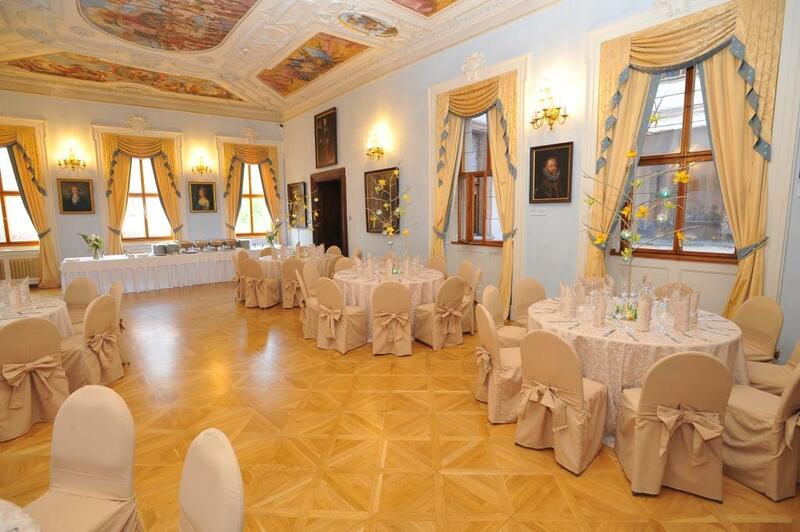 My recommendation: use this venue for a reception and party. 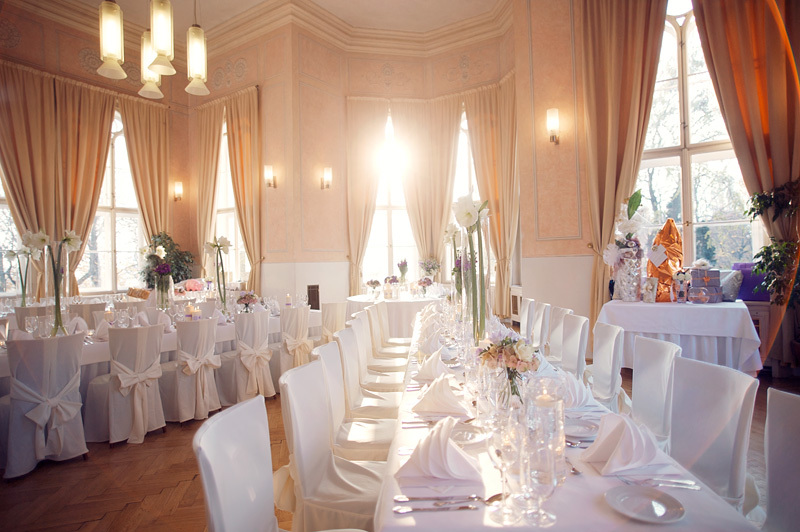 For the ceremony I would recommend another venue, either some nice ballroom, garden or chateau as there can be many local people at Letna that time overlooking your ceremony. 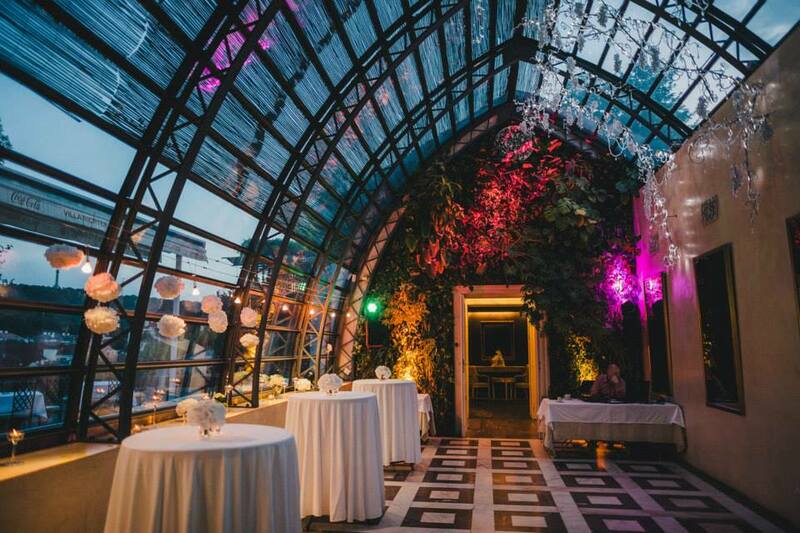 Music: allowed until 3 a.m.
My recommendation: perfect combination chateau-garden-tent located in Prague with accomodation and great food. 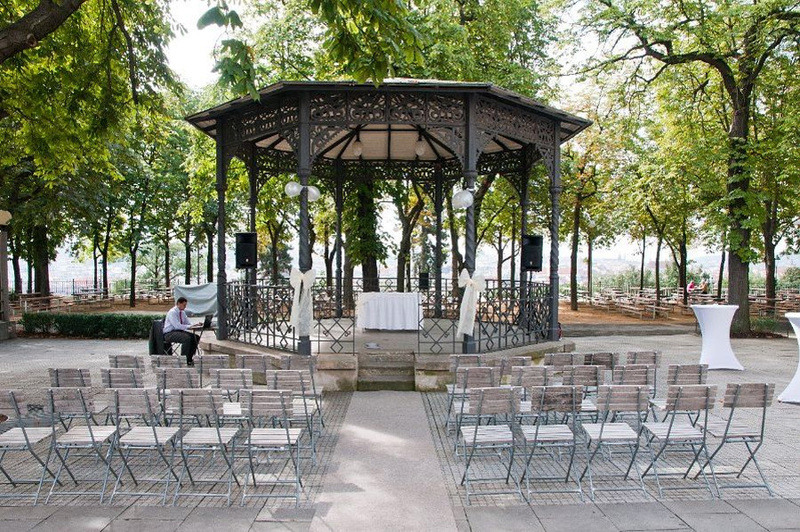 Can be combined with the ceremony in the city centre.